The route runs between the rivers Bacchiglione and Brenta and the suggestive southern lagoon of Venice, to get to the center of Chioggia among streets, bridges and fishing boats, and where you can visit museums and the typical fish market. 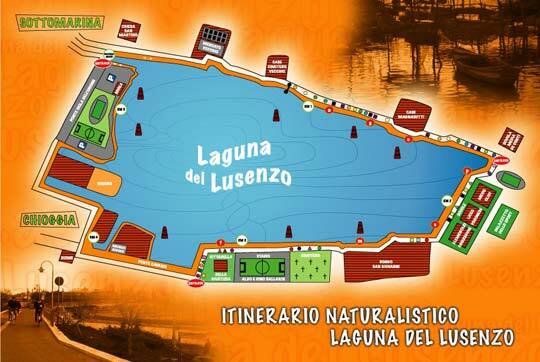 You arrive at the Lusenzo lagoon which separates Chioggia from Sottomarina, with a cycle and pedestrian path. It is a particularly pleasant context, with a beautiful view of the lagoon and a very suggestive “portrait” of the city. If you want you can extend the route to the beautiful beach of Sottomarina: the Dam is recommended. Upload (Allowed file types: jpg, gif, png, pdf, doc, docx, rar, zip, mp3, wav, mp4, mov, avi, maximum file size: 25MB.